This article was first published at my website: http://www.criticalinvestor.eu/. You can subscribe to my free newsletter to get my latest articles in your mailbox first. After investing over a year ago in Nemaska Lithium (NMX.V), for me the go-to lithium junior at the time (and still very much is, it is also one of my first sponsors btw so no shortage of bias here), I recently found another very interesting lithium company, Wealth Minerals (WML.V). It was so generous to sponsor my site as well, and it could end up with very interesting lithium assets and a much higher valuation in the near future, so I'm more than happy to introduce this company to a wider audience. For a year now, I am searching for new lithium projects, as the electric vehicle (EV) and energy storage movement seems to convert into a mainstream phenomenon, even posing a real threat to fossil fueled cars. 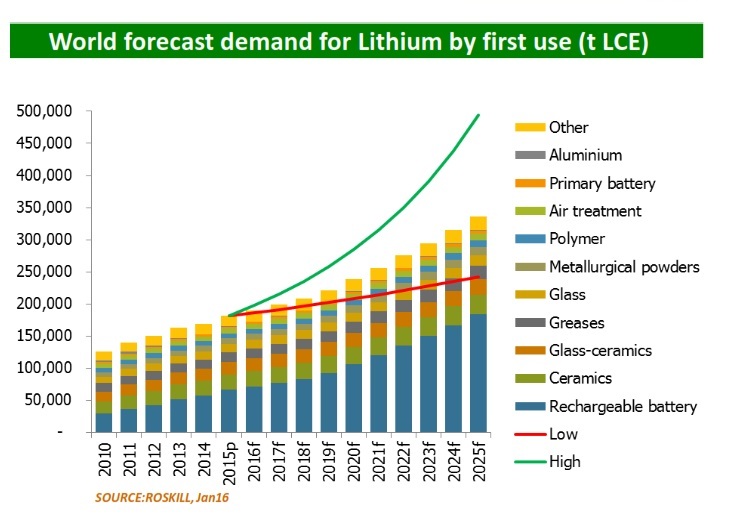 As a consequence, lithium demand has been rising steadily for the last few years, as lithium is an important component of batteries. 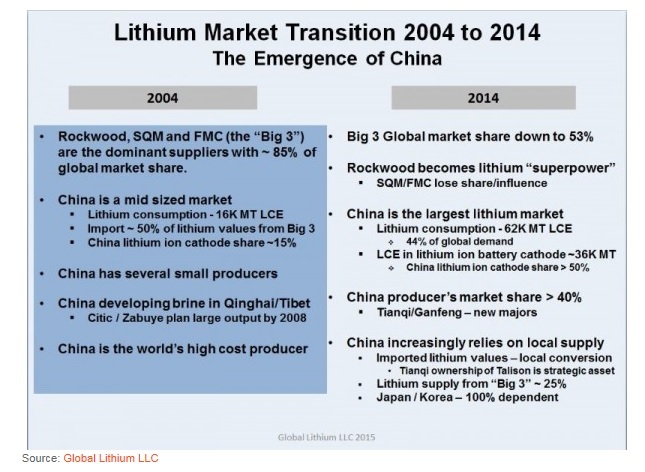 Since Q4 2015 the situation intensified a lot all of a sudden, as Chinese lithium demand soared, a lot of new supply appeared to be delayed or not even started up at all, causing a perfect storm for significant shortages and sharply increasing lithium prices. On top of this, the introduction of Tesla's Model 3 at March 31, 2016 was a huge success, beating all analyst's estimates, and increased awareness among investors for a significant need for lithium-ion batteries, and therefore lithium. This created nothing short of a hype in March and April 2016 for lithium stocks, followed by a period of taking profits and repositioning. 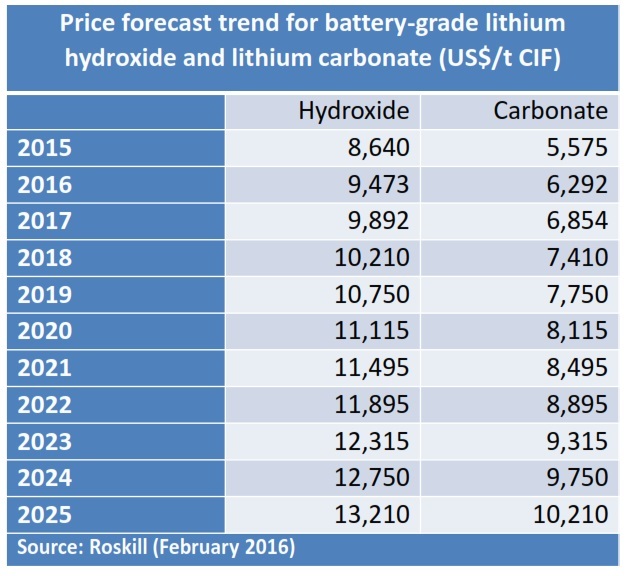 Although the current very high lithium prices probably aren't very sustainable for a long time, it will take an estimated 2 years until meaningful capacity comes online and will barely catch up with demand, if EV/batteries/energy storage really get traction. With lots of governments pushing EV now along the lines of fossil free mandates because of climate change agreements, this rather looks like a matter of 'when' instead of 'if'. Wealth Minerals could very well be one of the successful newcomers, developing a high quality lithium asset base. 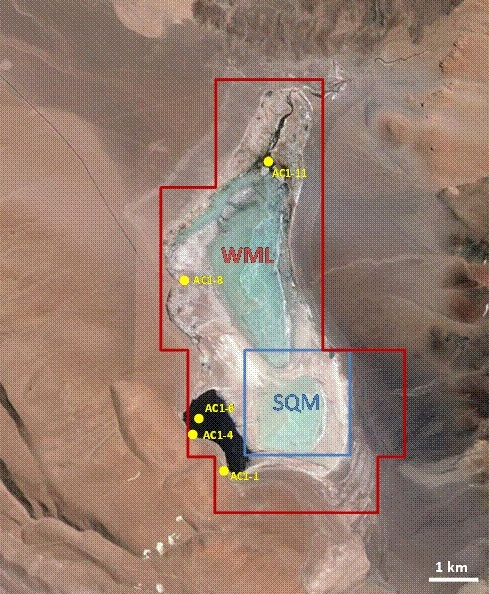 The company holds several precious metal projects, and is negotiating several lithium brine projects in Chile at the moment, one of them involving a take over of Li3 Energy, which owns 49% of Minera Li Energy SpA, a Chilean company which in turn owns 100% in the Cocina mining concessions and 60% of the Litio mining concessions, which are located in the Atacama region, and cover a significant part of the Salar de Maricunga, which is a world class lithium brine deposit. Wealth Minerals trades in considerably larger daily volumes on the mainboard in Canada as WML.V, compared to its US listing (WMLLF), so I would recommend trading by its Canadian listing. All presented tables are own material, unless stated otherwise. Wealth Minerals (WML.V) is an exploration and development company, which has been working on its PEA stage Yanamina gold project in Peru lately, and holds a gold/silver exploration project called Coronado and a silver exploration project called Valsequillo in Mexico. The company executed an option last year to secure the Noyell Property in Quebec, but since January 2016 the company has been predominantly focusing on the take over of Li3 Energy. 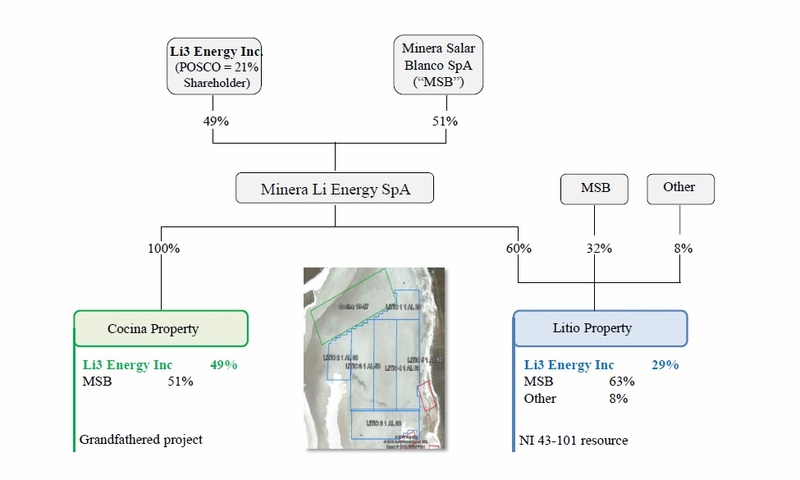 This company owns 49% of Minera Li Energy SpA, a Chilean company which in turn owns 100% in the Cocina mining concessions and 60% of the Litio mining concessions, all in the high grade Maricunga lithium salar in Chile, which happens to be one of the best lithium brine deposits in the world. 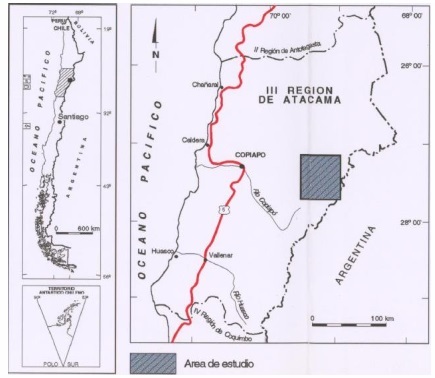 This project has been advanced to a resource estimate in 2011, but couldn't proceed after this, because of a moratorium on mining lithium by any other company than Albemarle and Chilean state company Codelco, water rights issues and very complex relations between the Chilean government, the Chilean Agency of Development named Corfo, other lithium producing/mining companies holding stakes in the project like SQM and Codelco, companies like SQM being involved in lawsuits with Chile or protesting against new permits for Albemarles Salar de Atacama brine project, and local banks. This is about to change because of two things: first there was the initiation of a National Lithium Commission in Chile in 2014, which recommended the President to mandate Codelco to start developing the Salar de Maricunga with a third party, and when the State-owned company would have been created, property would be transferred. Second: things are moving now thanks to a person who has extensive knowledge and experience of the Chilean situation, and excellent relations with all parties at the highest levels, and has been granted a role by these parties to unravel this unbelievable tangle, and this particular person is Wealth Minerals' very own CEO and President Henk van Alphen. Henk van Alphen has had a long and successful career in the mining industry so far, and founded and led numerous well know companies, and acquired and sold famous properties. For example he founded Pacific Rim and acquired the Taca Taca, Diablillos and Aqua Rica projects. For Corriente he acquired Mirador which was sold for $680M. He founded Cardero, bought the Pampa de Pongo Iron ore deposit from Rio Tinto and developed it for just $3.5M, and sold it for $100M. He was a co-founder of International Tower Hill Mines, leading it as a Chairman from its IPO of $0.60 to over $10 per share. He was also a co-founder of Trevali Mining, the current go-to pure play on zinc. After this he co-founded Balmoral Resources, another high profile name in the exploration business. At the moment he is actively involved in Wealth Minerals and Cardero Resources, dividing most of his time between Chile and US/Canada roadshows, and is convinced he is on to something big with Maricunga. Two other very interesting officers are COO Xiaohuan (Juan) Tang and the recently appointed Marcelo Awad, the executive director of Wealth Chile. Mr. Tang joined the company in the summer of 2015 and was responsible for development and permitting of a large iron ore project (the same Pampa de Pongo project sold by Cardero earlier) in Peru for a Chinese major mining company and therefore has shown he knows how to navigate the often complex LatAm environments, but is also and maybe even more invaluable through his extensive Chinese network in mining and mining finance. Mr. Awad worked 18 years as a Vice President at Codelco, the Chilean state mining company, and 16 years at Antofagasta as the CEO of the Mining Division. He was handpicked by Barrick to save Pascua Lama, but even he couldn't solve this incredible piece of mismanagement on environmental issues. Next to a number of high profile advisory and director appointments, most of them in mining related companies, Wealth Minerals has been lucky to add him to the negotiation team for Chilean lithium assets as well. The cash position of the company is estimated at $2.8M per May 8, 2016, and has $0.6M debt outstanding to related parties. The company recently closed a number of placements: a $0.54M offering on December 28, 2015 which became free trading on April 29, 2016, a $1.556M non-brokered private placement on April 6, 2016, and a $1.0M non-brokered private placement on April 20, 2016, which indicates solid interest from the markets. The initial announcement for the Li3 Energy acquisition in February didn't do a lot for the share price initially, but after Tesla revealed their new Model 3 on March 31 2016, and new orders for it skyrocketed and beat analyst estimates by a wide margin, investors became aware that the EV trend could very well have a long lasting and big impact on lithium juniors, and started buying all lithium related juniors like crazy, including Wealth Minerals. A German promotion campaign fueled buying as well. As Wealth Minerals still is a very speculative stock as it still is negotiating on lithium deals, it had to chew through a lot of profit taking and some selling from the flow through shares coming out of lock up on April 29, but the worst seems to be behind us now, as management is progressing in Chile on Maricunga, and is doing successful US/Canada roadshows. I will explain later on why Wealth Minerals could be attractive, but first let's have a look why lithium is such a hot commodity at the moment, and will probably remain so for the coming years, providing an excellent fundamental not only for Wealth, but for any junior with good lithium deposits. Lithium (chemical symbol: Li) is the lightest of all metals. It does not occur as a pure element in nature, but is contained within stable minerals in a range of hard rock types, clay deposits, or in solution in brine bodies within salt lakes, in sea water or geothermal brines. The contained concentration of lithium is generally low and there are only a limited number of known resources where lithium can be economically extracted. Lithium can be processed to form a variety of different chemicals depending on its end use. 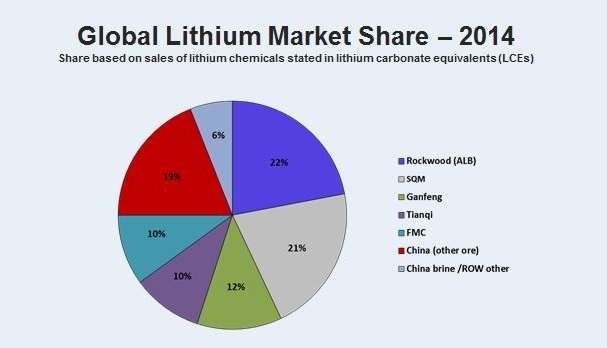 According to Roskill Information Services, lithium carbonate represents approximately 48% of the total global consumption of lithium chemicals (25% technical-grade lithium carbonate and 23% battery-grade lithium carbonate). Future demand is projected by Roskill to grow at an annual base rate of 9.7% until 2017 with optimistic forecast at 15.7% per annum consumption growth. Consumption of lithium in volume terms with be largely driven by the rechargeable battery market which is predicted to grow 21.5% per annum. As the chaotic reception of Tesla's new Model 3 in April 2016 already indicates a massive interest for affordable electric vehicles (EV) from the global audience, more and more major car manufacturers are accelerating development programs for EV, and cities and even entire countries are aiming at a rotation from fossil fuel powered vehicles towards EV in 5-10 years from now. A very important market force here is again China, which has very quietly become the world leader in fossil free investments, in an attempt to fight the ongoing widespread pollution and smog for example, which could create civil unrest which is something the current government wants to avoid, in order to stay in power. China is investing in a wide array of fossil free solutions, but is also focusing on EV, and already taking it a few steps further as it for example stimulates production of electric buses and E-bikes as well, as 30M E-Bikes are now produced annually, and buses are projected to almost double by 2018. I do think this is very conservative as it simply extrapolates long time chart patterns from the recent past, when demand for batteries was predominantly made up by non-EV consumer products. It will probably be clear by now for most that something has changed dramatically since Q4 2015, witnessing recent actions of car manufacturers, end users and politicians. 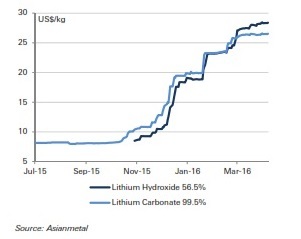 All this has had a profound impact on the price of lithium chemicals like lithium carbonate. As described beautifully by Lowry, one of the big producers stands out by setting incredibly low and 3-5 year contract prices, and that is Albemarle. No one understands why Albemarle is doing this, using prices 30-40% below all competitors like FMC or the Chinese, which use 1 year contracts, and even quarterly contracts. Extrapolating this post of Lowry, it looks like Albemarle is selling for $8,000-9,000/t LCE, whereas the rest of the market uses $11,000-12,000/t LCE. Albemarle uses the argument of demand destruction by pricing too high, but as Lowry correctly argues, you don't get demand destruction when the majority of supply uses much higher prices, and most producers are in sold out mode. This is a weird situation, but as Albemarle is sold out to long term parties, their own pricedecks aren't influencing the broader market to the downside. Therefore the $11,000-12,000/t LCE level is leading for my estimates in my view. 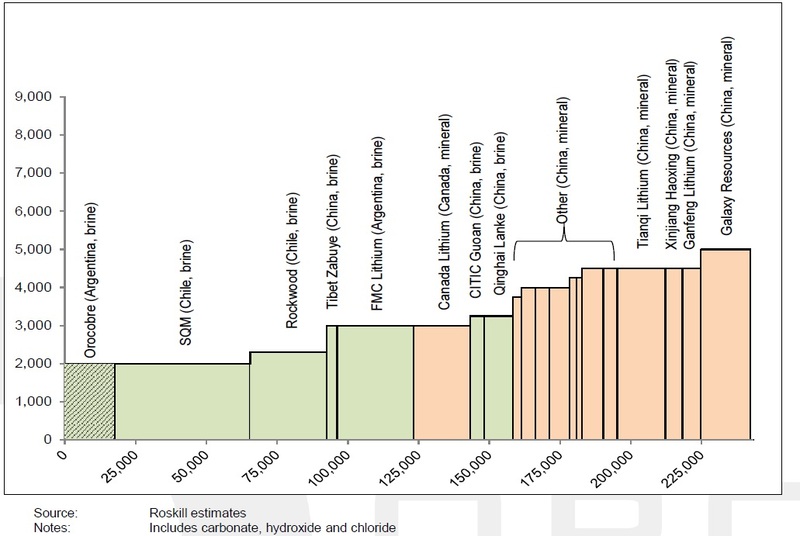 Whereas the Roskill chart arrived at about 175,000t per annum for rechargeable batteries, this table envisions a 200,000-250,000t per annum target. In my view this is much more realistic, as the average battery in a EV demands about 40-70kg of LCE. The Tesla Model S contains a battery using 63kg of LCE, I estimate the Model 3 battery at 40kg as it is a smaller car (this could be offset by longer range btw). If only Tesla is living up to its forecasted 500,000 Model 3 vehicles by 2018 (by many analysts deemed unrealistic considering the history of Tesla, although I don't underestimate Elon Musk and the financial support he could get as the fossil free movement is becoming stronger by the day), that would mean at least 20,000t of additional LCE demand, if Model S and X demand would stay the same over that period. BMW i3 Series due for release 2017 in direct competition with Tesla Series 3. Albemarle is also looking into expanding processing capacity in Australia, but this is forecasted to come online only in 2020. Roughly the same goes for SQM and FMC. FMC has an expansion planned for Fenix, but this is still in engineering stages. Another expansion is being constructed at their Argentine brine project, but it takes much longer than planned to complete this, let alone when it will reach nameplate production. I don't expect any meaningful production from it before the end of 2017. 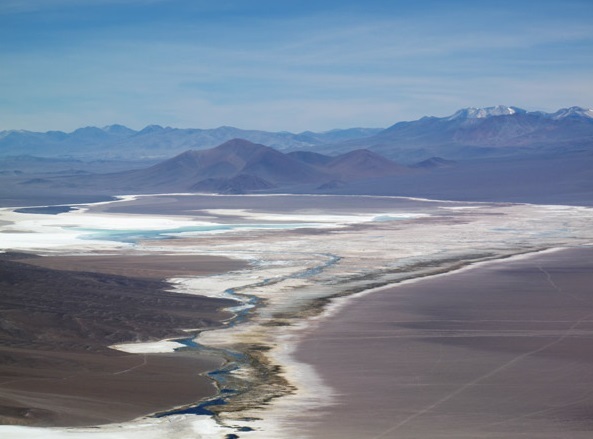 SQM is constructing an expansion for their Salar de Atacama project which also takes longer than expected, and planning to build a new brine project in Argentina, coming online in 2019. The only new capacity coming online is Orocobre which is already close to nameplate capacity, and Galaxy Resources which only produces spodumene and started production in April 2016. Everything Galaxy produces is already been taken by offtake agreements for this year, and most of it for 2017, so I don't expect a softening coming from this added supply, and it shows as the lithium product prices stay at very elevated levels. Bottom line is clear: no meaningful new production will come online before the end of 2017. Until that time, lithium carbonate price levels around or above $11,000-$12,000 can be expected (except Albemarle as explained), which is extremely positive for economics of almost any lithium project. As a consequence, this bodes well for the subject of Wealth Minerals' endeavours in Chile, the world class Maricunga Project. 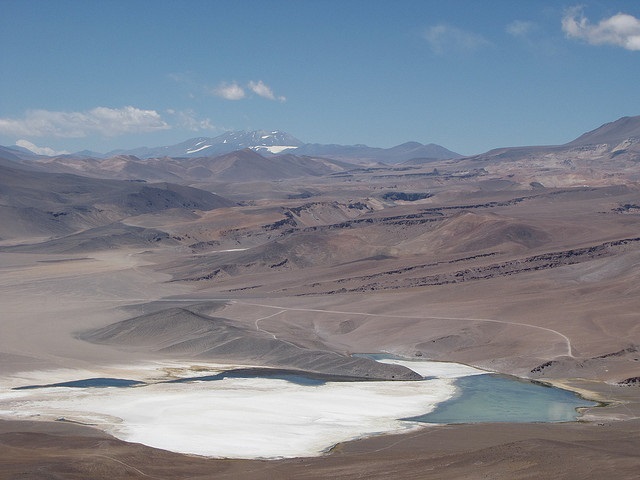 The Maricunga project consists of approximately 1,888 hectares, and is located in the northeast section of the Salar de Maricunga in Chile, the second largest lithium-bearing salt brine deposit in Chile. 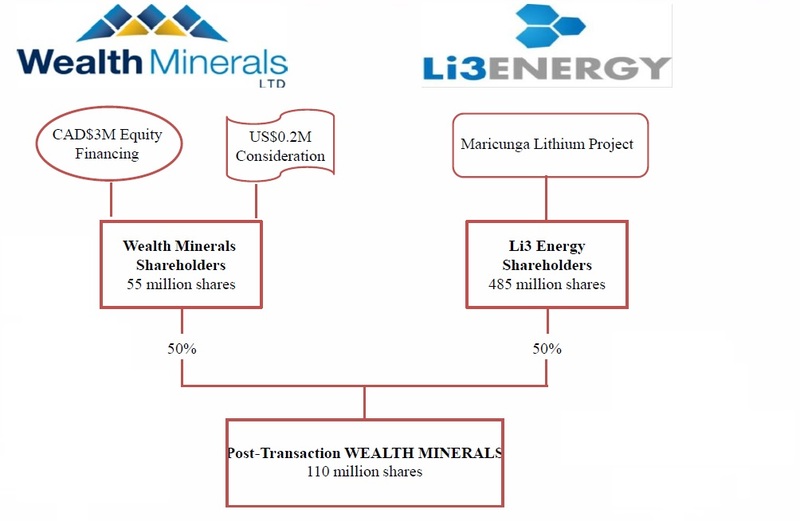 At the moment it is partly owned by Li3 Energy, the party Wealth Minerals is taking over at the moment. Li3 Energy has in turn an interesting partnership with POSCO, which already invested about $18M in the project, and developed a pilot plant for Maricunga, and has a 21% stake. The ownership of Li3 Energy consists of a 49% controlling interest in SLM Litio 1-6 (1,438 hectares - highlighted in blue on the map below on the right) and the 100% owned Cocina Mining Concessions (450 hectares - highlighted in green on the map below on the right). The Salar de Maricunga is located in Region III (Atacama region) of northern Chile at an elevation of approximately 3,750m. It is located about 180km to the north-east of Copiapo, the capital of the Atacama region, via “Carreteradel Inca” highway. "If the ratio is 1:1 in the original brine, then the added cost (due to today’s present cost per tonne of slaked lime) is $180/tonne of lithium carbonate produced. 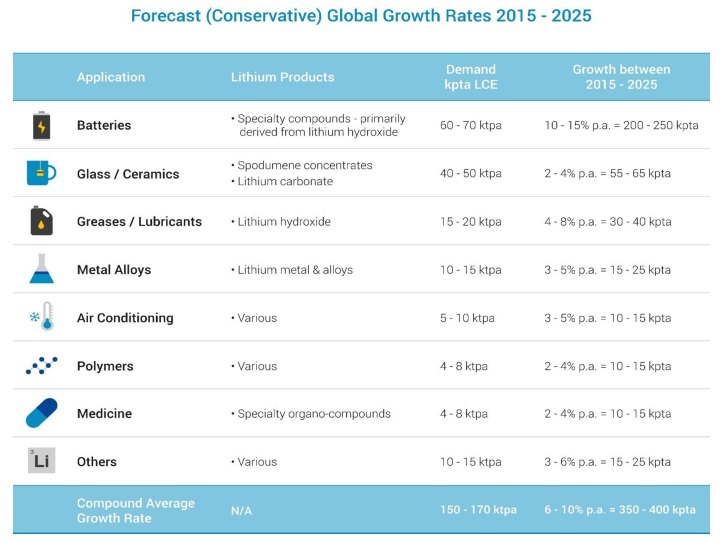 If the Mg to Li is 4:1 than the cost of removing magnesium is $720.00 per tonne of lithium carbonate." This would have meant a hypothetical $1193/t LCE added cost for Maricunga, again back in 2011 when all mining costs were almost at its peak and have come down again. 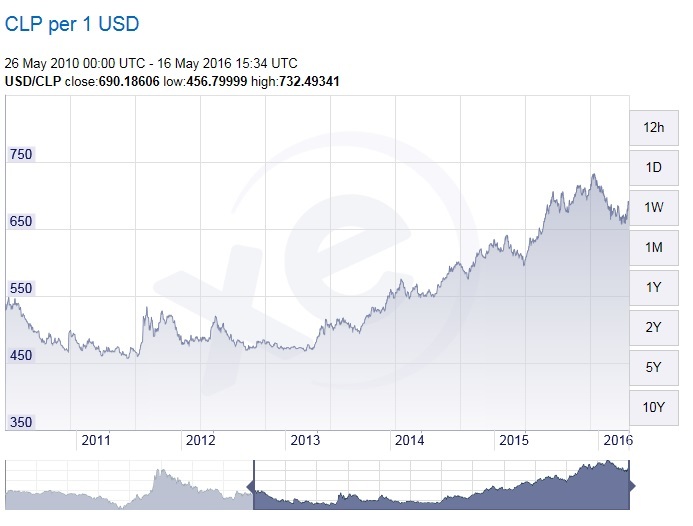 Adding to this are various currency effects as a substantial part of opex can be accounted for in Chilean pesos. It also has a very high calcium concentration, which demands more soda ash for lithium carbonate production. The very low sulfate concentration (SO4) is on the other hand very beneficiary for lithium recovery, so it is a mixture of pros and cons. Maricunga could still create a very economic project in my view, more on this later. The high ratios of the Bolivian Salar de Uyuni are causing problems, and conventional methods don't apply here. This is why the Bolivian government has flown in several, mostly European engineering teams to work on alternative state of the art recovery methods to develop its state owned lithium projects by themself. Personally I would say it would be easier for Bolivia to have foreign parties investing large sums of capital into developing their Uyuni project, taking on all risks, and pay Bolivia a decent percentage of taxes/royalties. Now Bolivia is taking on a substantial operational and financing risk, maybe they want to stay in control and create a Bolivian, lithium based version of Codelco, who knows. The Salar de Maricunga area has been distributed over many different parties, the most important of them being Li3, Codelco and SQM. The Chilean Agency of Development, Corfo, also plays an important role here. Relations between those parties aren't very good to put it mildly, and on top of this Chile didn't want to grant any new mining licenses for lithium operations for the last 10 years or so. But this is changing, more on this later. It seems rather pricy to dilute yourself for a small part of an excellent brine deposit to this extent. I do believe, since this LOI was laid out when the share price of Wealth Minerals was much lower (C$0.20-0.25), the number of shares needed to acquire Li3 Energy will be much lower than 55M shares when the deal will be finalized. This LOI was assigning a value of about C$11M including take over premium to Li3 Energy which isn't unreasonable, considering the added value by Wealth, the current stage and NPV8 I'm calculating later on. Assuming this value remains more or less the same, the number of shares issued could go down to 15-20M shares. However, this is just a start for Wealth Minerals. Codelco is the only party with mining licenses for lithium brine in the Salar de Maricunga, but they were never interested to develop their assets over there. However, as lithium prices soared in December 2015, Chile reviewed the situation on lithium and finally followed up on the proposal of the National Lithium Commission, and decided to instruct Codelco to re-energize its lithium assets again, as they were still permitted. 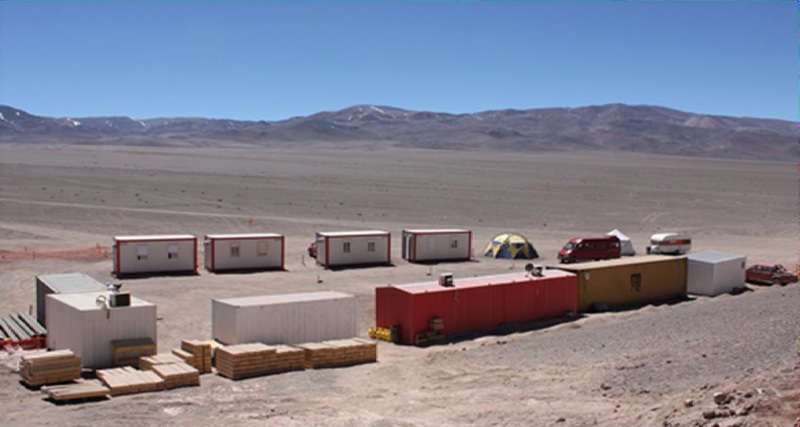 CEO Henk van Alphen thinks of this as a landmark event, as it appears to revitalize the entire lithium space in Chile. He has a very solid reputation among these countries, as he did business in Latin America (especially Peru and Chile) since the nineties. I discussed all this extensively with him at this year's PDAC, and he believes the government actions enable him to do some excellent lithium deals for Wealth Minerals. The recently appointed Marcelo Awad is undoubtedly brought in to assist Henk on the ongoing negotiations, and I'm very curious what they come up with. COO Tang isn't exactly unimportant either, as he could be instrumental in securing significant Chinese funding, as cash/debt will be needed to buy a concession here and there in hard cash, and to avoid further dilution by issuing equity on deals. According to Wealth management, the negotiations with all stakeholders are progressing very well, and they expect key agreements to be finalized within the next months. After this, the company aims at proceeding with advancing an economic study as soon as possible, as the Litio and Cocina concessions contain enough resources to base an economically viable project on. 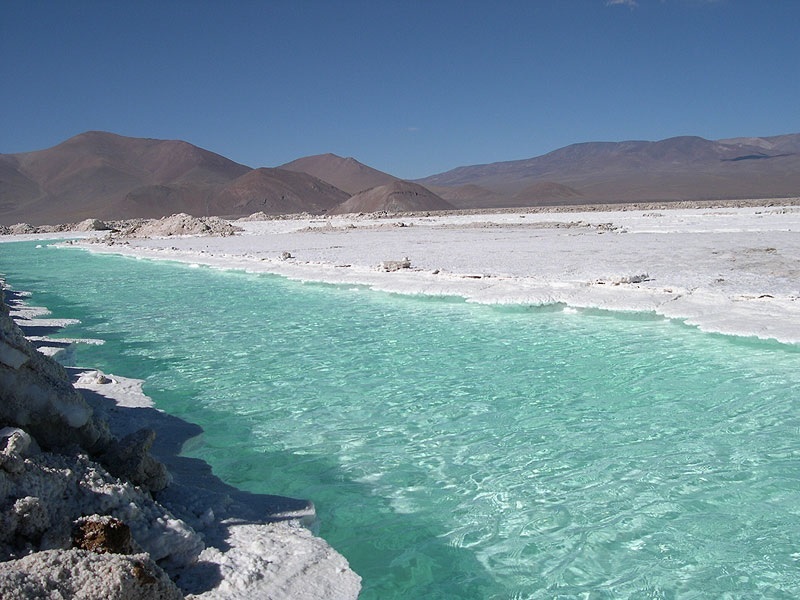 They also recently executed a LOI to acquire a part of another brine project in Chile, the Salar de Aguas Calientes. This Salar is lower grade (200-250mg/L Li) although it has never been explored with advanced methods, and it is ranked as Class III in the top 15 of brine deposits in Chile (Maricunga is second and Class I). In the meantime, let's have a look at some comparable projects, in order to derive a hypothetical net present value (NPV) for Maricunga, in order to determine fair value, and upside potential for Wealth Minerals. Although a peer comparison never tells the entire story as it is a relative comparison, it is a useful tool to determine basic metrics of any project and its potential in my view if peers are chosen carefully. Unfortunately, there aren't too many recent economic studies on LatAm lithium brine projects available, as most lithium projects were shelved during the period of oversupply (2012-2014). 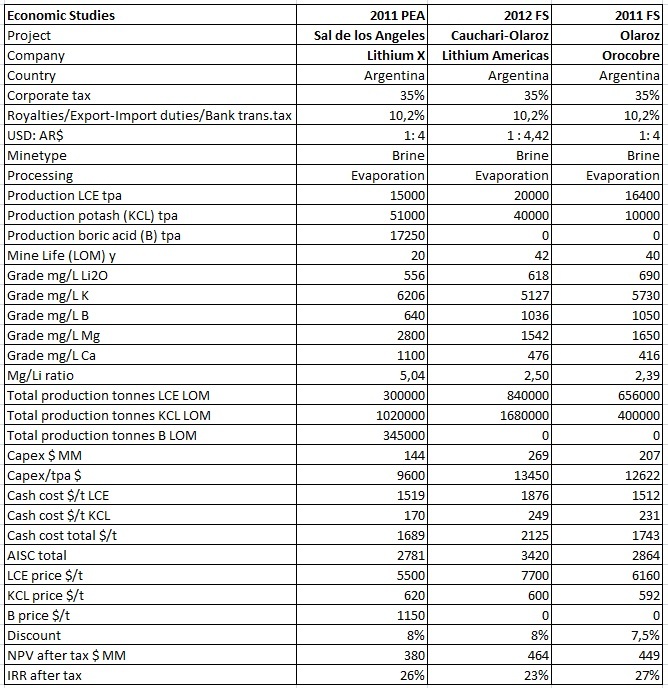 Nevertheless, I found 3 well known projects, and although the data looks outdated coming from 2011-2012, I believe capex and costs for lithium brine projects didn't swing as wildly as for example precious metals projects since then, and therefore this data could be of use. 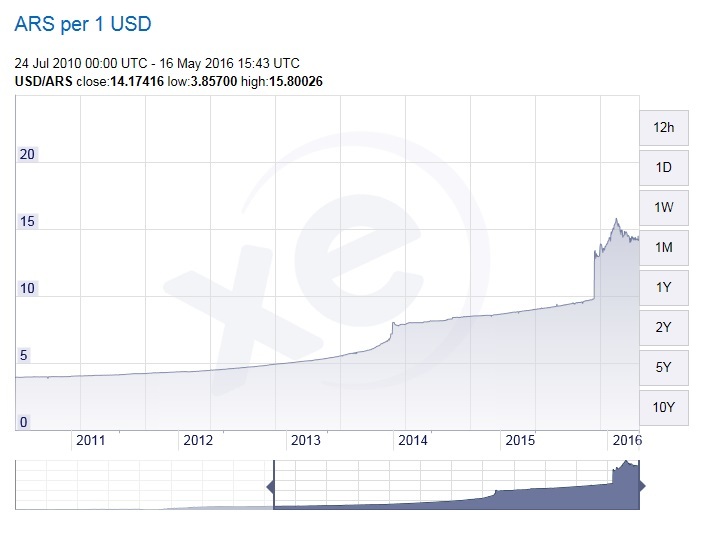 As the current exchange rate for the US Dollar / Argentine peso stands at 1:14 and about half of cash cost could be spent in pesos, plus 5% export duties are terminated by the new government, these projects could enjoy significantly improved economics. Nevertheless, as the Chilean peso devalued more than inflation increased, Wealth can enjoy advantages as well compared to the 2011-2012 situation. For now I don't go into detail too much and will use global estimates for FX effects for Maricunga, but it gives you an idea what you need to take into account when doing fully detailed due diligence. With contaminants being the only weakness of Maricunga, I assumed relatively high cash cost and AISC to account for this, and chose to be conservative. With current elevated LCE prices it was tempting to pick higher base case prices as well, but as a base case has to be sustainable, and I wanted to compare Maricunga to the other projects, I chose $6000/t LCE to be very conservative. As potash prices dropped off significantly since 2011-2012, I used $300/t for base case prices which is close to current levels. I ran a discounted cash flow model, and arrived at an after-tax NPV8 of $328M and a IRR of 29% which is solid and viable for a lithium project. The NPV8 looks lower, but this is caused by a much lower KCL price. As a consequence, when using the current low price for potash for the Argentine projects on the same metrics, their NPV will lose 30-40% and the IRR sinks below capex funding levels (Orocobre is already in production so no harm done here of course). However, Lithium X and Lithium Americas have options to improve economics as discussed earlier, and as Argentina is turning around at breathtaking speed at the moment thanks to new president Macri, their outlook has vastly improved since the CFK era. 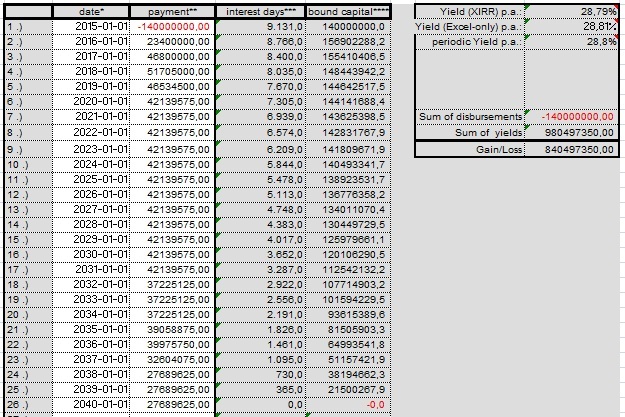 When entering $8000/t LCE and $300/t LCE in my DCF model, an NPV8 of $688M and an IRR of 49% are achieved for Maricunga, which is excellent, and gives you an idea of potential upside when off takes can be arranged at such prices. $12000/t LCE which is fairly common now for 75% of orders, renders an NPV8 of $1406M and an IRR of 85.6% btw, but I don't consider the current peak "spot" LCE prices of over $25,000/t LCE at the Chinese markets viable as only small parties scrambling are willing to pay this for leftovers, otherwise I would invest everything I had into lithium stocks. As for example Lithium-X is earning into a 80% JV and currently owns 50% of SDLA, its full NAV/MC multiplier isn't fully representative, neither is Wealth's, so I adjusted the NPV8's and resulting NAV's for ownership (assuming Wealth closes the deal with Li3 Energy). The PEA of SDLA is based on an Inferred resource, the Maricunga project is based on a Measured resource, so technically the deposit of Wealth is even more advanced regarding resource definition, and it requires more drilling for Lithium-X to advance SDLA to Measured. A PEA can be done fast and easy by Wealth on Maricunga as most or almost all drilling has been done, and a lot of testing has been completed. This means that after the deal is finalized, Maricunga could be progressed in 4-6 months to PEA stage based on a current Measured resource, which is of higher quality compared to Lithium-X's Inferred PEA. In order for Wealth to have the same multiplier, its marketcap has to double at least. As the deal with Li3 Energy will involve dilution but very likely not to the extent of the LOI, over a double marketcap based on for example 75M shares outstanding still provides us with at least a 58% upside for the share price > estimated target of C$1.03. 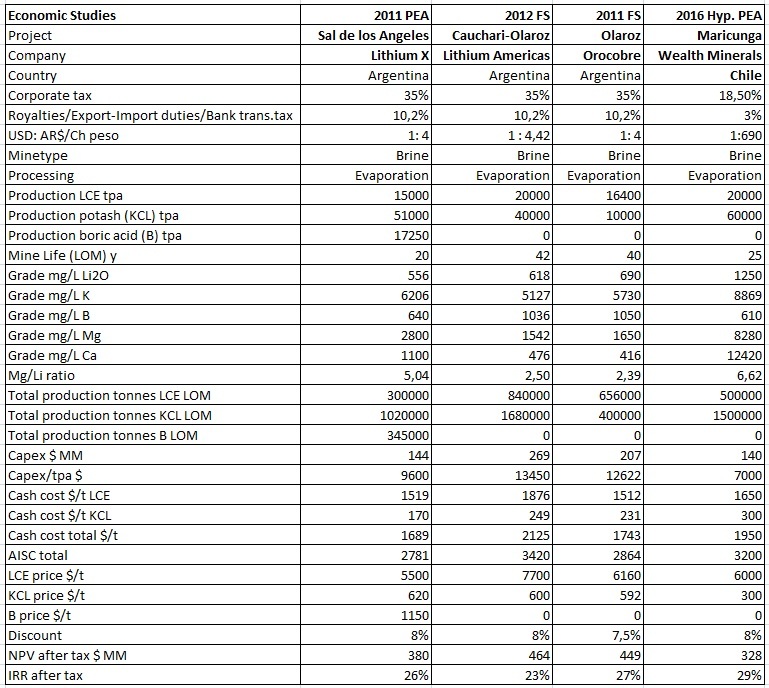 This is all based on a very,very conservative lithium carbonate price of $6000/t LCE. This is also theoretical of course, normally dilution doesn't bring down the share price exactly to the point of an equal marketcap before and after a closed deal, issuing new shares, and if added deal value is real and recognized by investors the share price usually recovers fast. The big question here is how sustainable are the current LCE price levels of $11,000-$12,000/t. In my view, besides the incredible prices (>$25,000/t) only being paid at the moment by small battery suppliers in China, it will take at least 2 years before supply starts to catch up with demand because of the ongoing EV/energy storage developments. Therefore I don't see $10,000-$12,000/t levels as unrealistic at all for the next few years, this could actually prove to be a bottom range. When big producers are more transparent about fetched lithium prices, and multiple juniors come out with economic studies based on these prices, showing their excellent economics, investors will likely respond in my view, probably seeing lithium isn't some shortlived hype like rare earths or graphite a few years ago. As Henk van Alphen and his team are trying to buy more economic Chilean brine assets, it could very well be that my estimated targets will need to be revised upwards btw, and this could happen soon. Wealth Minerals is one of many juniors switching into lithium at the moment, but with a distinct advantage. CEO Henk van Alphen, COO Juan Tang and director Marcelo Awad are all very well connected and successful heavyweights on the LatAm/Chinese mining markets. If they succeed with world class Maricunga, this junior could easily become a multibagger, and the outlook on this seems to be positive in my view, as EV/energy storage/fossil free developments seem to take the world by storm now, providing a very solid lithium price deck for years to come. I hope you will find this article interesting and useful, and will have further interest in my upcoming articles on mining. To never miss a thing, please subscribe to my free newsletter on my website http://www.criticalinvestor.eu/, and follow me on Seekingalpha.com, in order to get an email notice of my new articles soon after they are published.